The post-Great War (1914-1918) map of Europe was one that would generally be familiar to today's audience, with the emergence of Belarus being one of the last acts of the dissolution of the greater Poland-Lithuania territories of the early modern period. 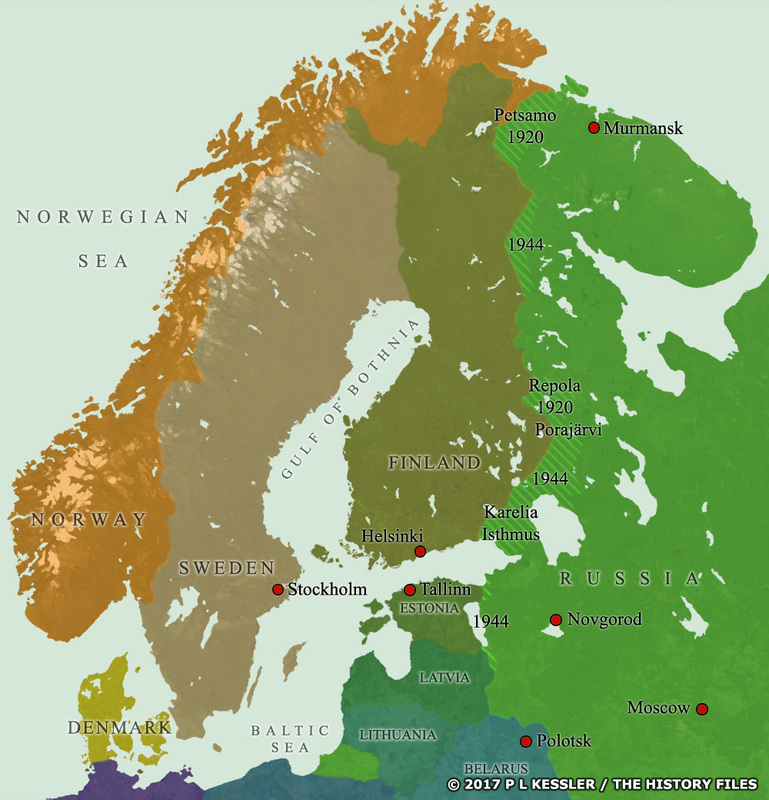 The Second World War wrought greater changes on the borders of the Nordic countries. Finland, controlled from Moscow since 1809, had been independent since 1919 and now became a battleground between Soviet and German interests, while Denmark and Norway were occupied by Germany. Despite not being able to conquer Finland fully, Russia gained several large chunks of its eastern territories in 1944, along with the Baltic States.